We are still harvesting a lot from the garden! 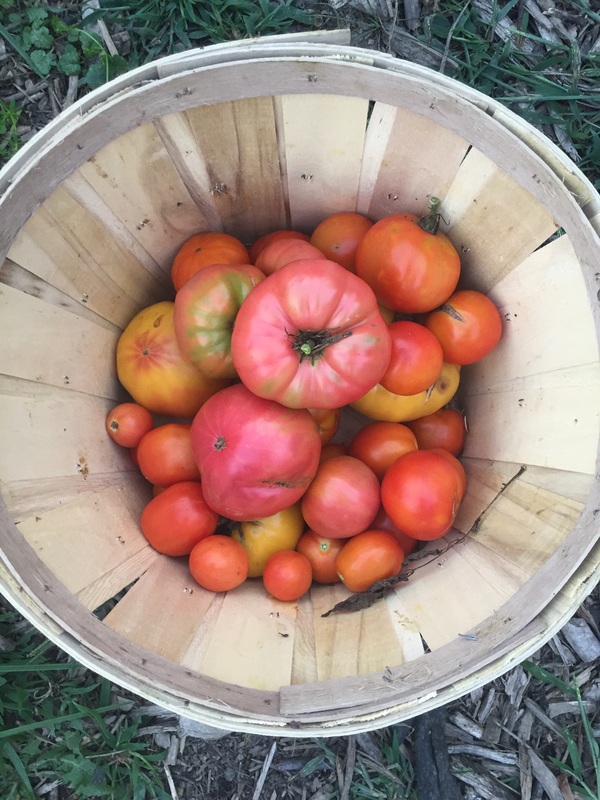 Most days we get over 4 pounds of tomatoes and about a pound of green beans every other day! And that apron I made for myself is amazing! It makes picking green beans a breeze! 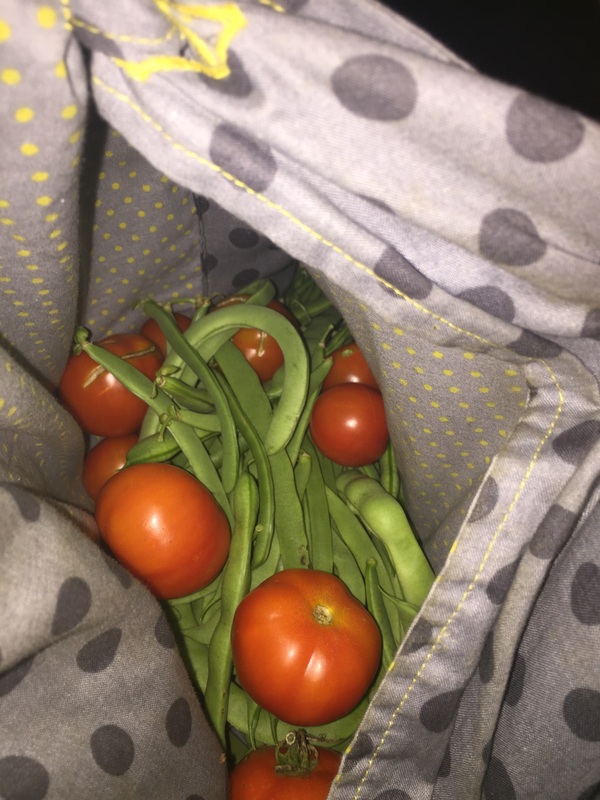 Just yesterday I had 2 lbs of green beans in the bottom and 2 lbs of cherry tomatoes in the pocket! While picking those green beans, I had a little buddy that kept trying to bite me! He was very feisty and liked the looks of my feet in flip flops! 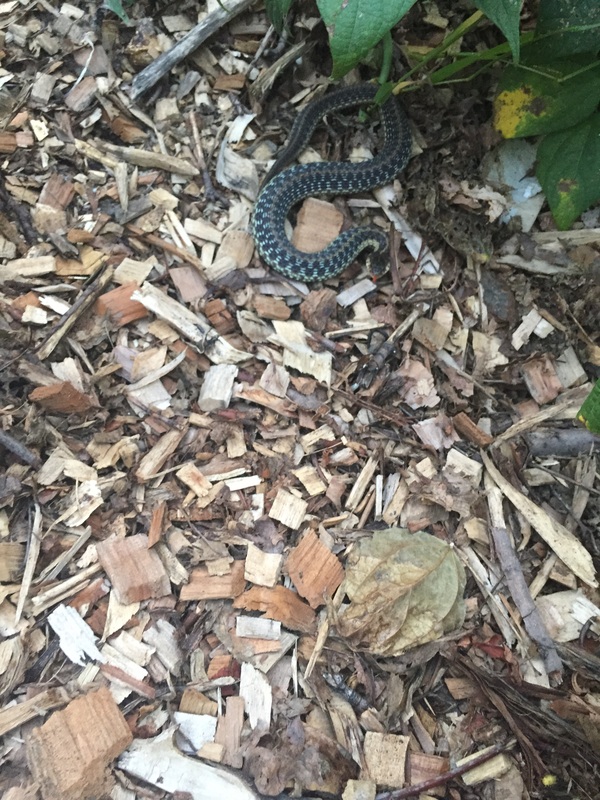 It eventually slithered away! 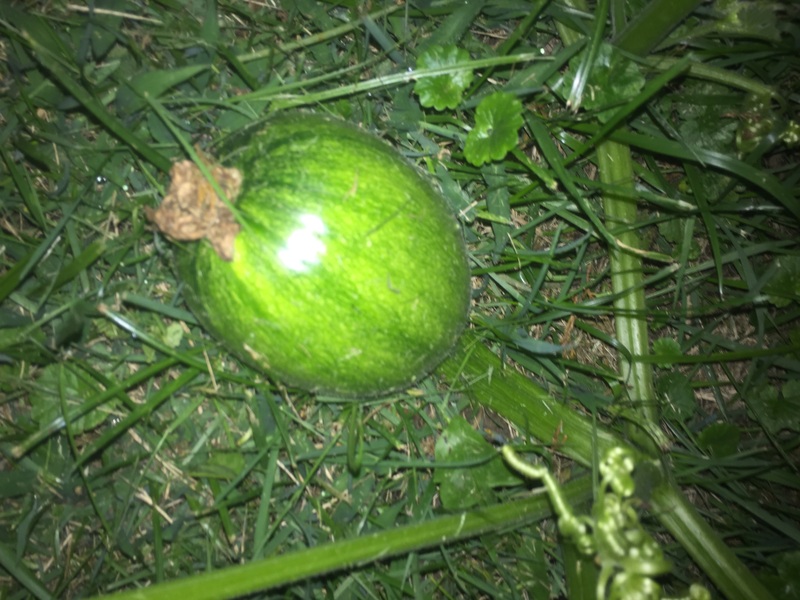 I have harvested 4 pumpkins already, but many are still growing! Our goal is to have at least one for carving during Halloween! The chickens are going to love eating all the extras! 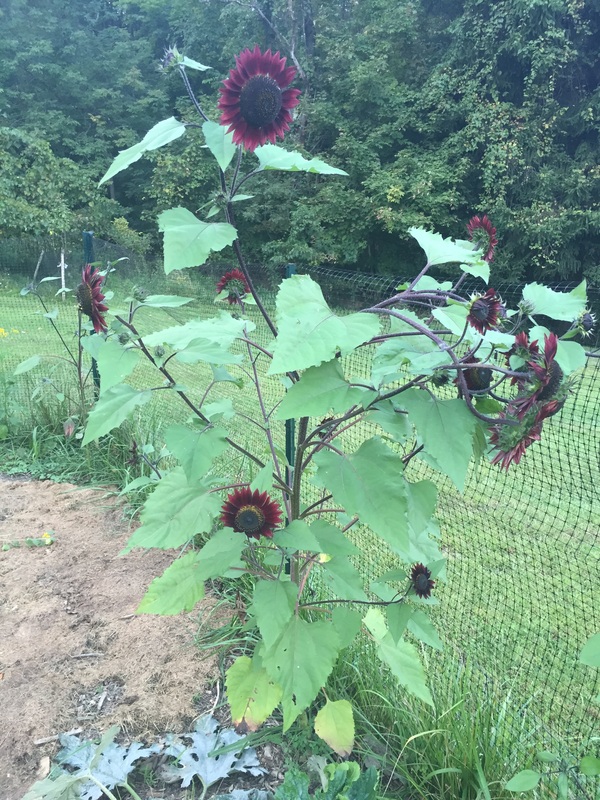 I started gathering up the sunflower heads to dry in the basement. I’m sure the hens will like them in the middle of winter! 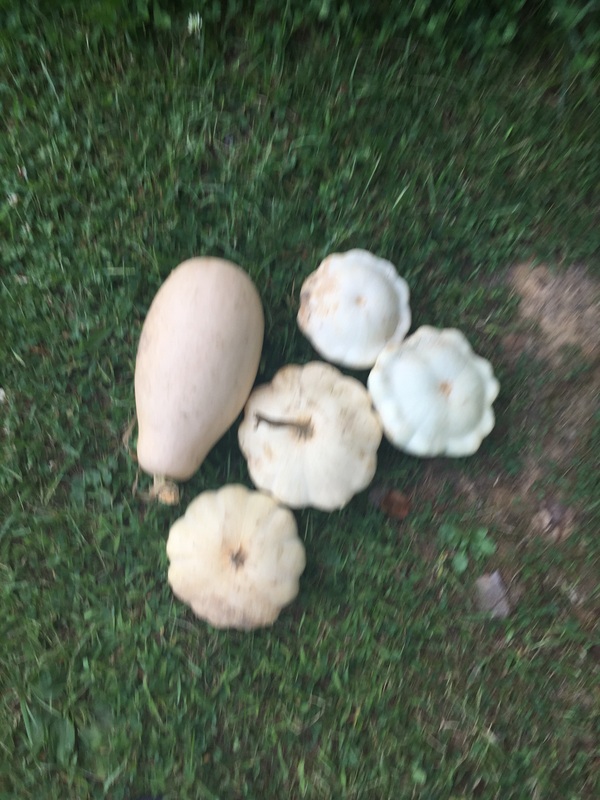 And lastly, my neighbor threw these back up into our woods. The hens were beyond thrilled when they got a few! The will get the rest tomorrow. Lucky ladies!!! Lovely.. 👌 The tomatoes and beans are a delight… But the snake Noooo …scary..